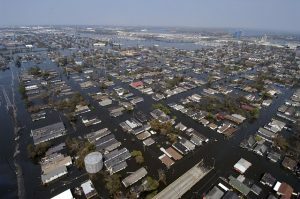 The City of New Orleans, a U.S. poster child for the destructive power of hurricanes, is eyeing a plan to develop microgrids as part of a larger smart cities strategy proposed this week. The city council’s utility committee voted Wednesday to require that Entergy New Orleans develop a grid modernization plan that would include microgrids, distributed energy, electric vehicle charging stations and energy efficiency efforts. The committee wants the energy improvements to be integrated into a larger smart city strategy that includes transportation and communications improvements. “New Orleans stands at the edge of a technology frontier and how we respond will either make us a true 21st-century city or leave us in the wake of this advanced technology as a backwater laggard,” said Jason Williams, committee chair and city council president. As an immediate short-term goal, the committee called for greater penetration of solar, storage and other distributed generation on the utility distribution grid. The plan also calls for identifying and approving select microgrids for development within New Orleans. In a unanimous vote, the committee passed a resolution to open a utility docket (UD-18-01) and provide a mechanism requiring Entergy to offer the grid modernization plan. Stakeholders and the public will be invited to comment. The city council is expected to vote on the resolution February 8, which then requires that Entergy produce a grid modernization report within 60 days. Former U.S. Energy Secretary Ernest Moniz was part of a panel that provided input on the plan prior to the vote. Others on the panel were Melanie Kenderdine, a senior fellow at the Atlantic Council, a Washington think tank, and Paula Gold-Williams, president and CEO of CPS Energy, the municipally owned San Antonio electric utility, which has also adopted a smart cities strategy. New Orleans is considered highly vulnerable to hurricanes and suffered massive power outages and flooding in 2005 from Hurricane Katrina. 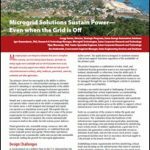 Learn about plans by cities to develop microgrids at Microgrid 2018, May 7-9, in Chicago. For USA big cities, New Orleans (N.O.) remains less than “smart” on ecological and meteorological-related, quality-of-life factors. N.O. still Travel +Leisure’s #2 “America’s Dirtiest” for unchecked, illegal waste, water, air pollution [LOUISIANA a bottom “worst” government in the Am. State Litter Scorecard http://www.litterscorecard.com/ ]. Furthermore, N.O. rated by Natural Hazards researchers at Texas A&M University as 2nd BIGGEST City to quickly DIE from flash flooding (HOUSTON–7 hours west of N.O.–now at #1 “Deadliest”).